We have made a huge investment to install a V.A.D.A Facility at Chartwell. The requirements for estimating and assessing vehicle accident damage have developed over recent years and it has become clear that a change is needed to the old practices that are adopted by many other accident repair centres. There is a distinct need to redefine the whole process and invest heavily in equipment that has the ability to assist and aid the correct appraisal of a damaged vehicle, to avoid compromising a vehicle’s integrity and safety systems that in turn place the passengers at risk. To add to the problem, vehicles are now very complex and the technology used today is moving rapidly. Without using modern equipment to diagnose and systems check every aspect of a vehicle after an accident, many matters are hidden and these issues are often the safety critical ones that are costly to put right but are essential to passenger safety. 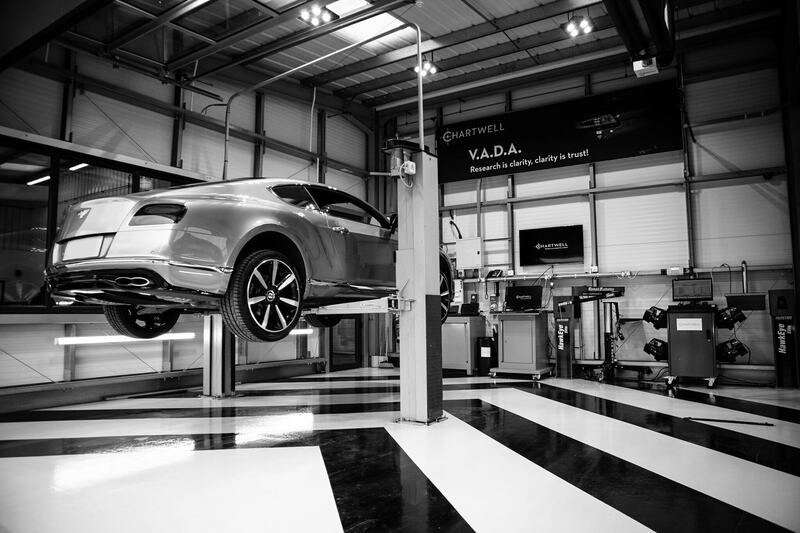 V.A.D.A is a principle and a process that seeks to bring all the knowledge surrounding a repair to the start of the process – from the wheel and body alignment, to systems health and repair methods – to reach an overall repair costing that is accurate, safe and transparent. Armed with this information everyone in the process can be better informed but crucially, we can ensure we continue to produce safe and secure repairs for our customers, now and into the future. For further information please email info@vadaprocess.com.